Clean your boots after each use. 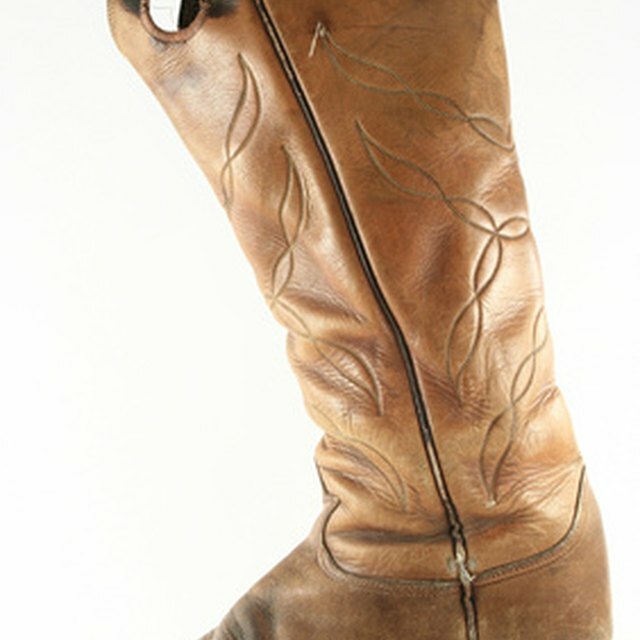 A quality pair of leather boots can cost hundreds of dollars, so it just makes sense to care for those boots properly. Saddle soap helps keep your boots clean and protected, while mink oil helps the leather to repel water and avoid damage from mud. Taking the time to clean your boots properly can extend their life and make them look even more attractive. Use a soft brush to remove any caked-on mud and dirt from the boots. Move the brush over the boots in the direction of the leather grain until all the loose dirt has been removed. Dip a soft cloth in warm water and then into the can of saddle soap. Work up a good lather, then apply the saddle soap to one section of the boot at a time. Allow the saddle soap to dry, then polish it away with another soft cloth. Continue to apply the saddle soap to one section of the boots at a time until they have been thoroughly cleaned. Repeat the application of saddle soap if necessary. 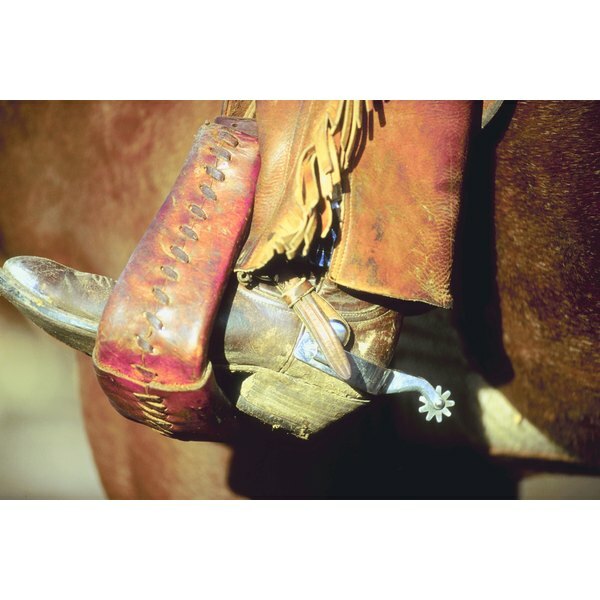 If the boots are heavily soiled you may need to apply the saddle soap more than once to get them clean. Allow the saddle soap to dry completely, then wipe away any excess one more time with a soft cloth. Wet another cloth thoroughly with the mink oil. Apply the mink oil to a small and inconspicuous section of the boots first. Rub the mink oil into the leather as deeply as possible and allow it to soak in before wiping away the excess. When you are done, the section you applied the mink oil to should be shiny but not wet. Check the color of the spot you applied the mink oil to. Mink oil can darken light leather. If the leather is darker than you would like, use a leather protectant designed for light leather in place of the mink oil. If the color looks good, rub the mink oil into one section of the boot at a time until the entire surface is protected.